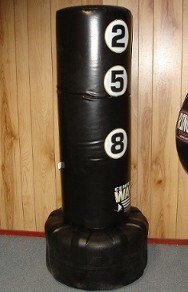 I have received several questions regarding the durability and quality of many freestanding heavy bags. I’ve never been a big fan of freestanding bags, so I was unable to offer much useful feedback. 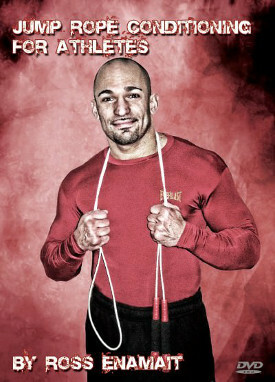 In my opinion, an old fashioned (hanging) heavy bag is your best option. With that said, many readers of the site have expressed interest in a freestanding bag due to their living arrangements (ex. cannot hang a bag in their apartment). Although I still recommend a traditional bag if possible, I decided to test out one of the more popular freestanding bags. I chose the Wavemaster XXL. This bag is not the traditional (smaller) Wavemaster bag. The XXL product is much larger. I purchased the bag after finding a low price on eBay. The bag has a very large striking surface and is more difficult to knock over than many of the smaller freestanding bags. A smaller freestanding bag is bound to slide all over the place, and is likely to tip after receiving any meaningful punches or kicks. Fortunately, the XXL bag has a large base. The bag is listed as holding 270 pounds of sand. Another option is to fill the base with water (not recommended). I know a few gym owners who have filled these bags with water. They mentioned that water alone did not provide enough weight to keep the bag from tipping/sliding all over the place. I decided to use sand and water to weigh the base down as much as possible. I managed to squeeze in 5 x 50 pound bags of sand. I added water after every 50-pound bag of sand. I then added more water the next day, after the sand had settled. With 250 pounds of sand, and several gallons of water, I am guessing the base is well over 300 pounds. It took a long time to fill the base, but the extra weight is essential to limit movement. I had to shake the base back and forth after each 50-pound bag to settle and distribute the sand evenly throughout the base. In doing so, I actually found a few useful exercises (by accident) that you can use with the base alone. One exercise involves a push/pull combination. Start on your knees, with both hands on the base. Explode forward, pushing the base as forcefully as possible. Quickly slide forward, towards the base. Grab the inside of the base and pull it back towards you, once again as forcefully as possible. Continue to alternate between push and pull. You will feel this exercise working from head to toe. I experimented with some full speed 30 and 60 second intervals using this drill. It did not take long to feel this exercise working. As for the actual punching bag, despite my best efforts to weigh down the base, the bag will still slide slightly after a powerful punch. I tested the bag on a carpeted floor, which will likely limit movement when compared to a slicker wood floor. One way to minimize the bag’s movement is by forcing yourself to circle the bag, rather than standing in one place. As you circle the bag, you will essentially keep hitting it back towards the center. This will keep the bag from moving too much. As long as you can fully circle the bag, it will not stray too far in one direction, and will reinforce the importance of lateral movement. Many athletes make the mistake of hitting the bag as if they were in a phone booth. Do not make this mistake. Circle the bag in both directions. As for the bag tipping over, if you use 300+ pounds in the base, it will not be easy to tip. You really need to put in the time to properly fill the base. As for long-term durability, it is too early to say. I must say however that the bag is nicer than I expected. I purchased the bag for less than $200, and shipping was free. It will come in handy on days when I cannot make it to the gym after my wife gives birth to our child. The bag will not shake the house like a traditional hanging bag, which will be important when the baby is sleeping. Overall, I give the bag a thumbs up. You can definitely “make it work” if you set it up properly. I still prefer traditional heavy bags, but as many of you have stated, this is not always an option. Heavy bag training is ideal for conditioning, punching power development, speed strength development, coordination, and most importantly, it’s fun.